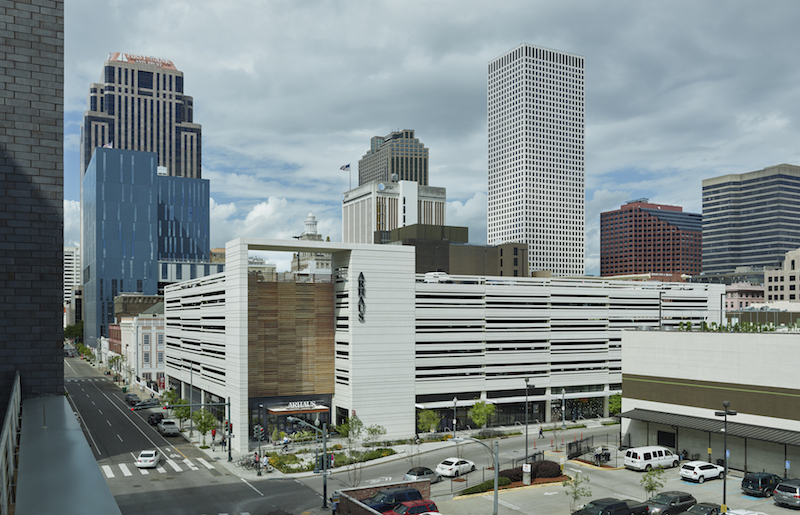 A new six-story hybrid structure in New Orleans combines a 441-space parking garage with 27,000-sf of street-level retail. Dubbed The Park, the 205,000-sf structure integrates large, pre-manufactured modules to create an aesthetic similar to the 19th century warehouses prevalent in the city’s Warehouse District. The garage meets the 50% open-air façade requirements for naturally ventilated parking structures and is composed of various widths of solid concrete and open-air gaps to eschew the heavy grid of most garages. 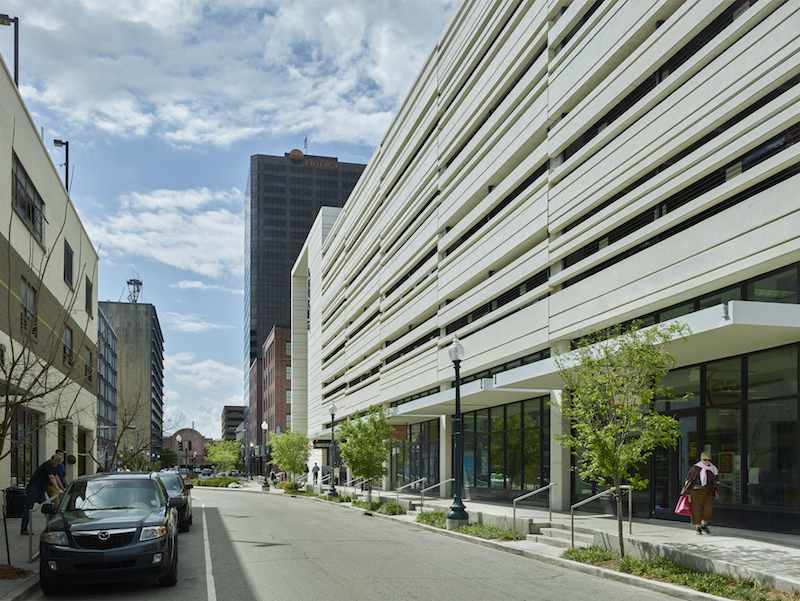 The parking garage’s design uses three pre-cast, integrally-colored modules – parapet panels, structural beams, and exterior panels – with five variations for each. The pre-cast panels on the two primary street facades vary in size from 34 feet 10 inches in length to 41 feet in length, and are smooth with strategically placed reveals for an added layer of detail. The main entrance at the street level switches from the industrial concrete of the arcade and marquee to a natural hardwood screen that aligns with the entry. Steel awnings along Girod Street provide retailers and pedestrians relief from the sun and rain.